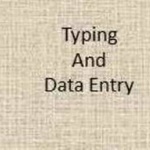 I am professional Self-directed and motivated Data Entry and Web Research Specialist with 9+ years' experience in Amazon Product listing ,Uploading content on E-Commerce website,...Read moreI am professional Self-directed and motivated Data Entry and Web Research Specialist with 9+ years' experience in Amazon Product listing ,Uploading content on E-Commerce website, Data Mining, Contact Information & Email Sourcing, LinkedIn Research, Lead Generation, Data Entry, Web Research. I am hardworking and a fast learner with good communication. Honesty, Sincerity, Dedication and professionalism is my Key to success. Quick and accurate - thank you!